Competition on airfares from Canada to Hawaii has been really intense this year, with multiple airlines offering extremely low prices. From most cities, at many times, Hawaii is also the destination where you're getting the most distance traveled per dollar spent. 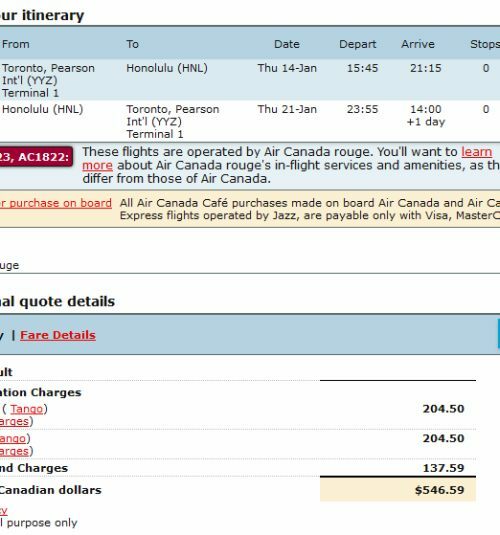 Air Canada, WestJet & Delta have all dropped the prices on their flights from Toronto to Honolulu ($547 CAD) and Maui ($571 CAD). These prices are available for travel dates from October 2015 to January 2016. 2. Select your flights in Google Flights, and then click through to Air Canada, Delta, or WestJet for booking. 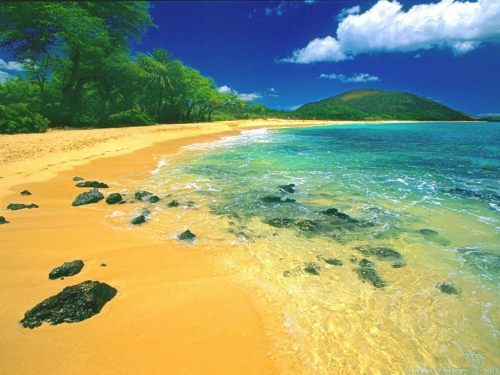 Where to stay in Honolulu or Maui? The following AirBNB links will lead you to some great deals on places to stay in Honolulu or Maui for under $199 CAD/night for 2 people. toronto, yyz, westjet, flight deals, united states, delta, honolulu, hawaii, hnl, maui, ogg, north america, air canada rouge and kahului. 2 Responses to "Toronto to Honolulu or Maui, Hawaii - $547-$571 CAD roundtrip including taxes | Oct to Jan, non-stops available"
I do not see anything for that price range nor is there anything for non stop. Am I doing something wrong? Peter: This was posted back on September 25. You may want to sign up for the e-mail alerts, so that you can immediately see when a new deal is posted. The most amazing flight deals don't last more than 24-48 hours these days. See the 'Alerts' tab at the top of the page.